I have a couple of projects planned for the fall along with smaller items I hope to give at Christmas time to co-workers and family. I have seen a lot of good ideas like pin cushions, table runners, candle mats, mug rugs and zippy cases that would work well. But I have two larger projects that I want to start. The second project is a special quilt for my grandmother. 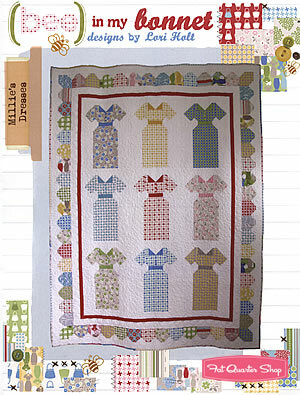 She has given me three quilts in my life and was the one who inspired me to take up quilting when I was in college. I started first by making cardboard hexagons and trying to hand piece fabric cut from bandanas (for some reason – I’m not sure what I was thinking about now). That was quickly abandoned and I ended up making my first quilt as a small Christmas wreath wall hanging that I gave to my Mom and then a King size log cabin Christmas quilt that I gave to a boyfriend and then reclaimed on the premise that if we didn’t stay together, the quilt stayed with me. Therefore, I still get to enjoy it almost every day. He didn’t appreciate me enough to keep it. 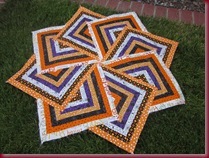 It’s a pattern by Lori Holt of Bee in my Bonnet fame. 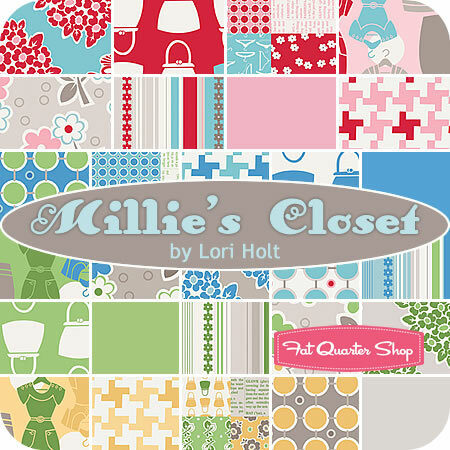 I’m also using the same fabric that is in the pattern, which is called Millie’s Closet by Lori Holt as well. Bright enough for ya? I wanted a lot of contrast and colors for Maw Maw. 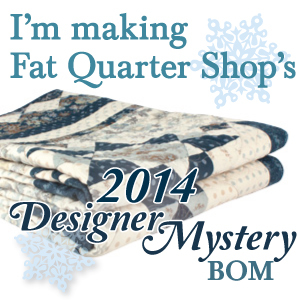 I got all my stuff from the Fat Quarter Shop, which is my fave. ← I was in Rehab this week … BOM Rehab!